Why we love it, why the environment loves it, and why you’ll love it too. Bamboo is one the world’s most incredible plants. Widely known as the fastest growing plant in the world, it has been used for centuries as a form of food, a traditional medicinal treatment, a building material, and more recently, has been innovatively transformed into a luxurious fibre which can be spun into yarn and woven into fabric. So what’s at the root of our bamboo obsession? 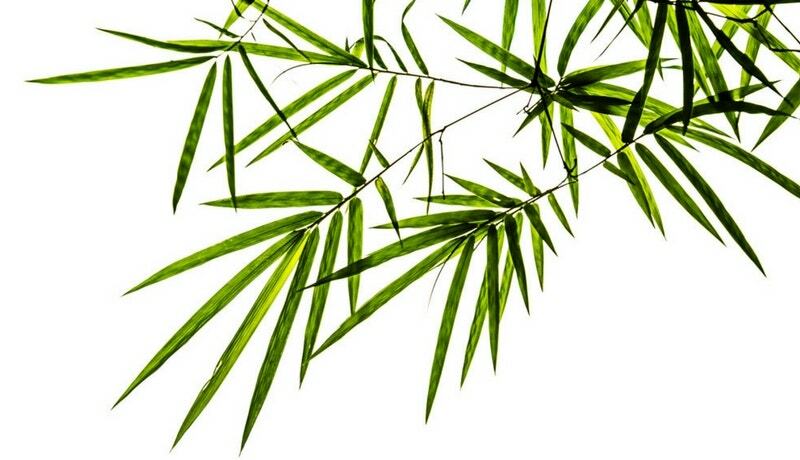 With a huge array of unique properties, bamboo fabric can be enjoyed by allergy sufferers, eco-warriors, indulgence aficionados and families alike. Here’s why we love bamboo, why the environment loves bamboo, and why you should too! *Aside from all these incredible qualities, bamboo fabric is also renowned for its luxurious, silk-like softness. With a natural lustre and cashmere touch, bamboo is a favourite for those who love a premium luxury fabric at an affordable price. With all these incredible benefits, it’s no wonder that we’ve taken this super-fabric and produced a range of luxury products to suit everyday living. From luxurious sheet sets to a beautiful towel range to contemporary throws, there is a bamboo-rich product available for every style. Naturally anti-bacterial and mould resistant, bamboo is a go-to choice when choosing your towels. Bamboo fibres are also less likely to lint than cotton alone, and retain their silk-like softness and beautiful lustre after washing and tumble drying. As one of our everyday towel ranges, we offer bamboo/cotton towels in a HUGE range of colours to suit any style. Enjoy a luxurious drying experience with our Bamboo Towels. Lightweight and breathable, our bamboo/cotton sheets keep your temperature naturally regulated through the night without compromising on a luxurious look and silky-soft feel. Redefine comfort with our Dalton Sheet Set and Caton Sheet Set. The eco-friendly option in the bedroom, our bamboo bedding is inherently anti-bacterial and dust mite resistant, making it prefect for allergy sufferers. Lightweight, soft and resilient, our bamboo quilt is perfect for warm climates and hot sleepers as it is naturally breathable and will provide a light, cosy layer without the sleeper overheating. Enjoy a blissful, undisturbed sleep with our Bamboo Quilt. Pair with our bamboo mattress and pillow protector to help you sleep comfortably year-round. With 100% bamboo filling and cotton outer, our bamboo protectors are a naturally durable and breathable choice for any bedroom. Shop our Bamboo Mattress Protector and Bamboo Pillow Protector. Naturally breathable, with a luxurious softness, beautiful lustre and lightweight feel, our bamboo/cotton blanket is perfect for all seasons. Enjoy a beautifully versatile addition to your bedroom with our Madden Blanket. With a luxurious cashmere-like softness and elegant lustre, our bamboo/cotton throws are cosy and durable whilst remaining resilient to bacteria and odours. Add instant style to any living area or bedroom with our Bamboo Throw. Fall in love with bamboo with one of our many bamboo-rich products. Crafted from only the best quality resources, our bamboo products transition beautifully for year-round use and are designed to look and feel luxurious for seasons to come.